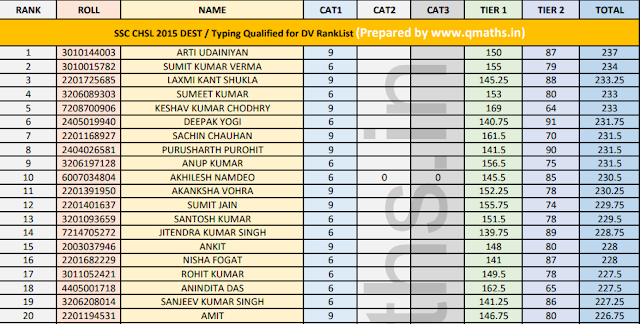 As we all know that SSC has declared DEST / Typing result of SSC CHSL 2015. 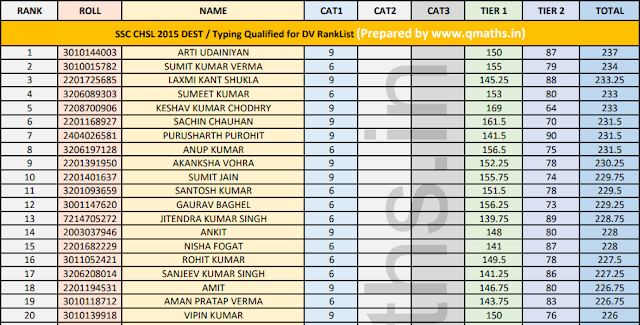 Qmaths has been continuously receiving msgs to prepare Rank list for the same. 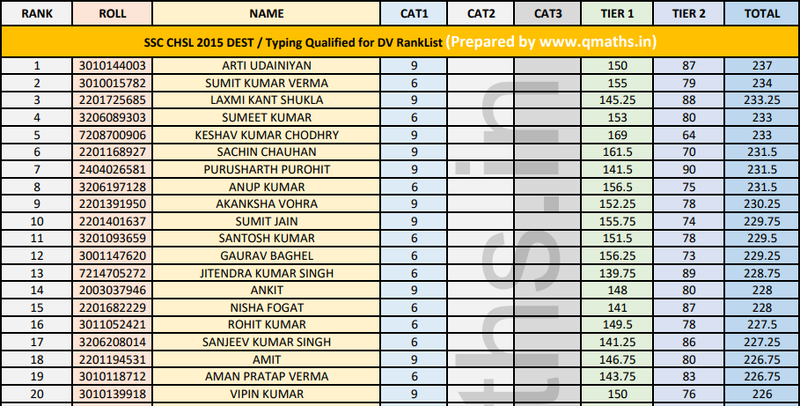 In this post we are sharing Combined Rank List of (Tier 1 + Tier 2 + DEST / Typing Qualified) Candidates for same. This Pdf has been created by Team Qmaths ( Mr. Rohit Grover). You may download it from the link provided below. Arti Udainiyan (3010144003) is the Topper of SSC CHSL 2015 (DEST / Typing) with 237 Marks in Tier 1 + Tier 2. 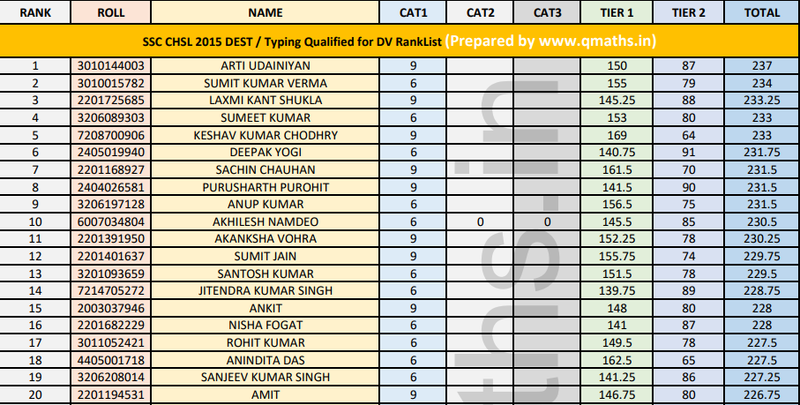 Disclaimer: This Rank list is based on marks obtained in SSC CHSL 2015 Tier 1 + Tier 2, and gives rough estimate of Rank. Actual rank may deviate (little bit) depending on various factors by SSC.